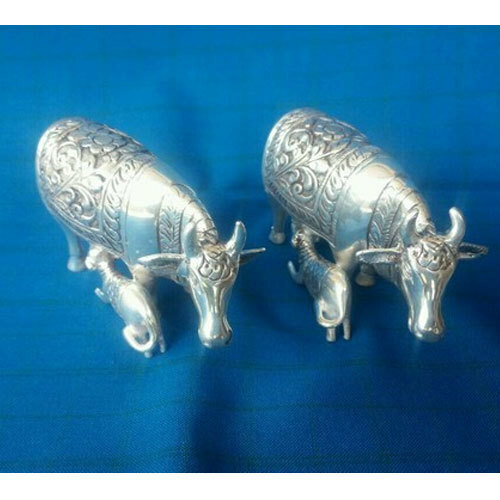 With enriched market experience, we have been able to offer a wide spectrum of Cow Silver Statue. Incepted in the year 2015 at Jaipur, (Rajasthan, India), we “MOHIT IMPEX” are a Proprietorship Firm, indulged in manufacturing, trading and wholesaling a qualitative assortment of Silver Handicraft, Jewellery Box, etc. Under the futuristic guidance of our mentor “Aditya Jain (Manager)”, we are consistently progressing in the industry.